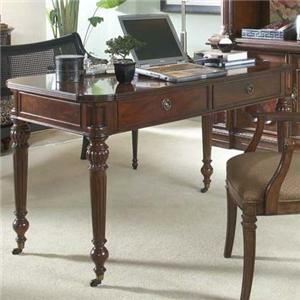 The masterfully turned legs of this desk end in traditional bun feet. 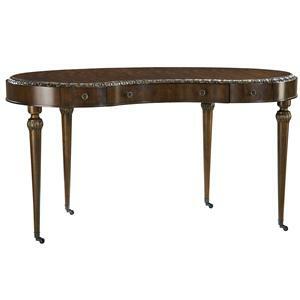 Curved stretchers join the legs and provide inspired stability to this piece. 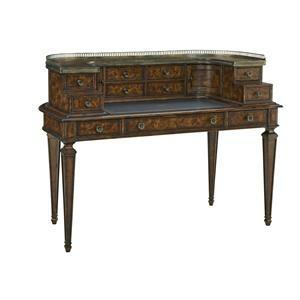 Three drawers reside in the desk's top with classic ring pulls on their fronts. 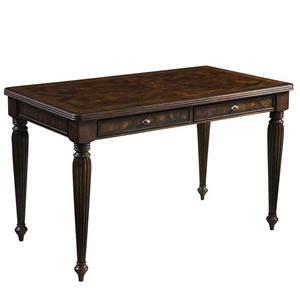 Finished in the handsome Antler Hill finish, this desk is inviting as well as attractive. 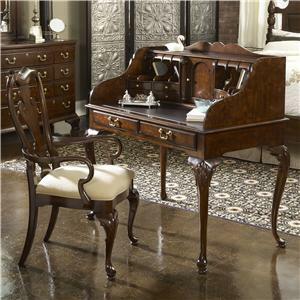 The Biltmore Desk with 3 Drawers by Fine Furniture Design at Stuckey Furniture in the Mt. Pleasant and Stuckey, South Carolina area. Product availability may vary. Contact us for the most current availability on this product. Finish Bleaching Begins The Finishing Process. 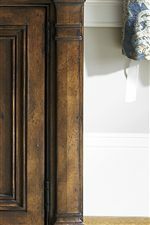 Bleaching Evens Out Wood Coloration And Presents A More Uniform Surface For The Finishing Process. Sanding Is The Next Step In The Finishing Process. After Sanding, The Furniture Is Placed On Wheeled Carts For Its Trip Through The Finishing Line. Removable Pieces, Like Drawers And Shelves, Ride On Their Own Carts Next To Their Case Pieces. 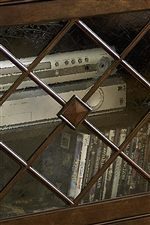 This Arrangement Ensures That All Parts Are Well Finished And That All Case Pieces End Up With The Drawers That Were Specifically Fitted To Them. Once Furniture Reaches The Finishing Line, It Is Hand-Sprayed With Coats Of Many Different Colors. 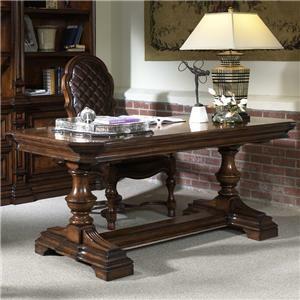 The Final Applications Of Finish Consist Of Several Clear Coats Of Cellulose Lacquer That Impart A Soft Sheen. The Final Touch Is Waxing. Then The Furniture Is Packed For Shipping. 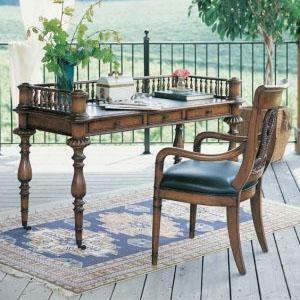 The Biltmore collection is a great option if you are looking for Traditional furniture in the Mt. Pleasant and Stuckey, South Carolina area. 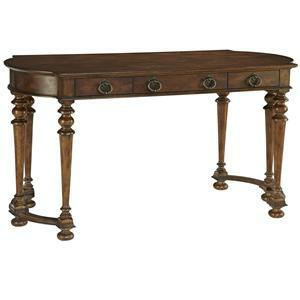 Browse other items in the Biltmore collection from Stuckey Furniture in the Mt. Pleasant and Stuckey, South Carolina area.